HOME / POT LIFE / EVER WONDERED IF PETS GET HIGH ON WEED? NOW YOU KNOW! If a man can get high, should his best friend get high too? As you pass a joint to your friend, you wish your cat could get stoned with you too. Sounds fun right? But it’s not! Whether you want them to get high or not, pets are accidentally getting high nowadays, ever since weed was legalized in a few places. Either they chew it up or sniff it in from passive smoking! 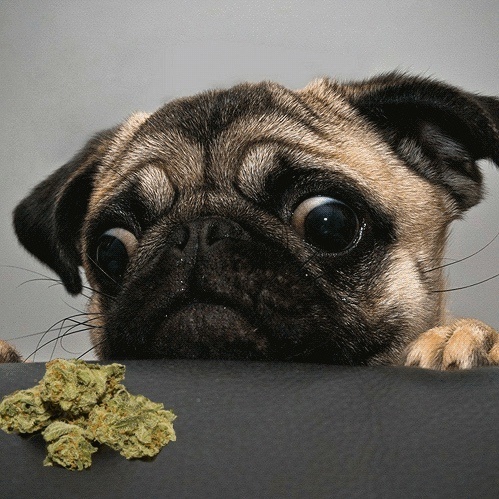 Treat your pet like a kid; you should hide your stash of weed the same way you’d hide a cookie jar. Weed, just like that chocolate cookie, is not good for them! 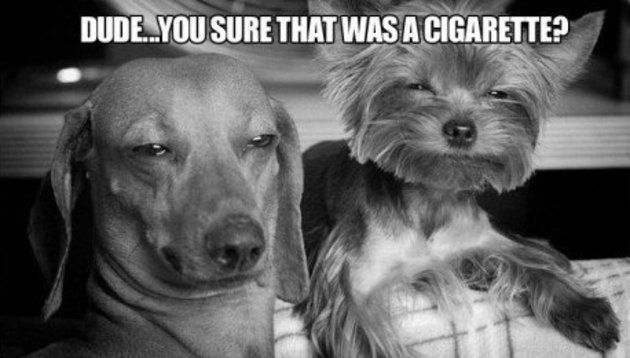 Speaking of getting high, pets do get high if they ingest weed. When they ingest weed or breathe in the smoke, the marijuana gives them a high stronger than that of a cigarette. 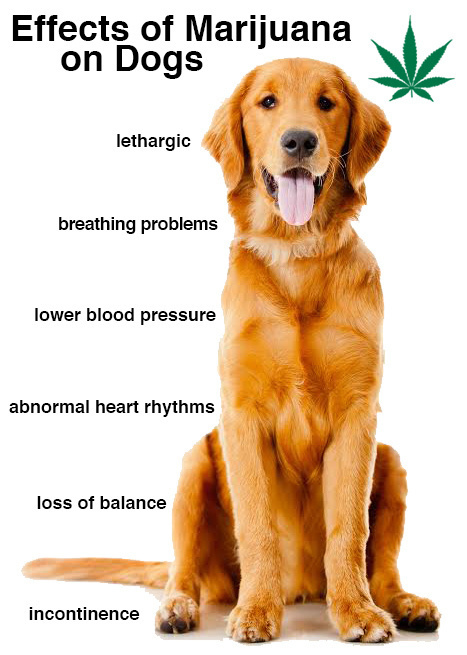 The intensity of getting high varies according to the size of the pet and how long it is exposed to the smoke! So if you have a chihuahua, watch out! You’re probably feeding your dog weed hoping he’ll become as chill as you, but you are so WRONG! In some cases, dogs start to panic and breathe heavily (Are you willing to take that risk?). Weed isn’t going to kill your pets, but it can have awful effects on them. There have been a few cases of death, so no pot for your puppies! Animals shouldn’t be exposed to weed until they’re one-year old, because their brains still develop during that time. Marijuana’s best when it is medical! Heard of medical marijuana? Yes, it exists! Mostly used by humans, lately it is also used for treating medical conditions in animals such as seizures, anxiety and eating disorders. Pets with serious illnesses such as cancer and arthritis have also been relieved of pain by using medical marijuana! These products use non-toxic oil called CBD (cannabidiol) oil to produce stuff like doggy treats! Don’t panic. Be honest with the veterinarian. Don’t wait for symptoms if your pet has come in contact with weed or weed products. The main treatment is to give activated charcoal(purchased at a drug store) orally. The charcoal traps toxins as it goes through the digestive system. If he vomits, give him lots of fluids. Speaking of pets, some of them are so famous it will shock you! Do you know these pet celebrities? !